Download our eBook to find out how. Open Enrollment is a critical time for the entire organization. As an HR pro, you want to provide the information and tools employees need to select the right benefits plan for themselves and their families. You want to make it simple and engaging to maximize participation. And you want it to be as efficient and easy as possible to manage. 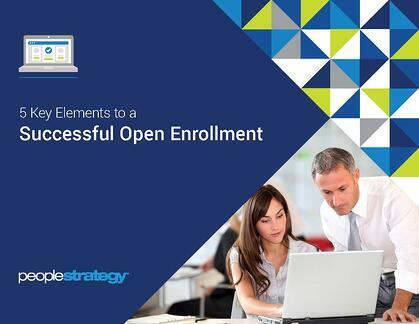 To help you achieve this and more, take a few minutes to read our free eBook: 5 Key Elements to a Successful Open Enrollment. Don't stop with Open Enrollment. Make your entire employee experience better with PeopleStrategy. PeopleStrategy® provides a single source for today’s employers to build an effective and competitive human capital management program through a strategic combination of HCM technology, employee benefits and managed services. To learn more about how you can put the trusted technology and services of PeopleStrategy to work for you, call us at 855.488.4100 or visit us at peoplestrategy.com.